Back in the 2006, a Winter Olympic Games TV ad said 'the whole world comes to Turin', and indeed many famous people have passed through Turin much earlier than 2006, fell in love with our city, chose it to spend a part of their lives and even study here! Besides an airport - look up for TRN - Turin also has one of the oldest Italian, and of the world, universities!! 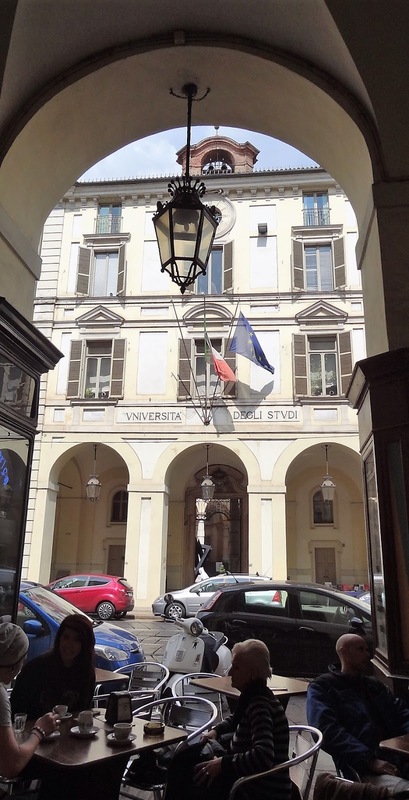 Founded in 1404, the current university structure, including the labs, the classrooms and all the offices are spread out from the 1700 Rectorate building, in downtown Via Po, to many mini campuses that reach out as far the Turin's suburb. Unlike North American and British universities, Turin doesn't have just one whole area devoted to the university, because this one has grown over the centuries following the city's life and it urban developments. Each school or college has its own library, located in its own building or mini campus; the university dorms are also spread out all over Turin to be located nearby the different schools or colleges. Generally speaking, when referring to the University of Turin, the locals mean 2 institutions: the Liberal Arts School, located near Mole Antonelliana and Via Po and Politecnico where the Engineering and Architecture Schools have their administration. Despite all the differences that divide us, sometimes we are forcibly brought together by an external common circumstance like these days: the extreme cold weather!